Changing your diet to make it more healthy may send you scrambling for new recipes. This page contains low carb, high protein, and high fiber recipes. I am looking for high protein food item that can be eaten on the run. The protein items must be low in carbs. I recently had a gastric by-pass and I am kind of tired of cool protein drinks. Dairy products cause a problem because I have asthma (creates a build-up of mucous). Try a boiled egg, cut in quarters or whole (peeled) in a plastic baggie or container. There must be power bars with low carbs that you can munch on the fly..... what about a turkey wrap? tuna salad with a spoon? Egg salad and a rye crisp? Make things ahead and have them ready to go in the fridge. What about a frittata recipe (spinach, for instance) or crustless quiche cut into squares. You could probably freeze individual squares and pull them out as needed. Also, I love deli meats wrapped or rolled in lettuce. Very satisfying!!! You could take along the drained tuna pouches. They don't need to be refrigerated and you just tear the top to open them. Shredded chicken breast comes packaged this way now and so does shrimp. Pick up extra condiments (mustard, ketchup, pickle relish) at restaurants each time you visit and stash them in your "On The Go" food bag. Include napkins, plastic silverware and bottled water and you'll be road ready at a moments notice. I had WLS about 18 mos ago and I too got real tired of the protien drinks. Not to mention the COST!!! I find that if I cook Salmon Patties and Black eyed peas, that makes a yummy and quick lunck to take to work. I usually make a nice batch for dinner and then I have some for lunch the next day. Meat loaf is also good and a high protien chili is good this time of the year you can all cheese on top and even freeze the servings for future. Slim Jims & beef jerky are good and pork rinds have 0 carbs and are pure protein. Leave jello mix dry. Combine all ingredients well. This can be served for breakfast, lunch, an on the go snack, or any time. (color of the jello will be the color of the salad, only lighter.) Best of Luck!! I scramble up eggs in the morning and take thick sliced deli ham and place extra sharp cheddar cheese (which you can leave out if it effects your allergies) with some mushrooms and green peppers and a little cracked black pepper and roll it like a burrito so that the ham holds everything inside. Then I use toothpicks to hold it together and either nuke it for 30 seconds or throw it in the hot pan and warm it on both sides and I have a high protein, low-carb meal that is filling and delicious. And most important NOT BLAND! 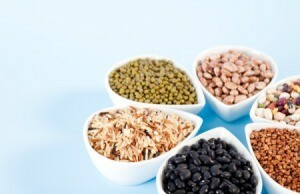 I'm looking for a recipe that is high in fiber, high in protein, low in cabs and has "no" corn (I'm allergic). Thanks. Interestingly, almost all the non-starchy vegetables and low-sugar fruits are the ones that are highest in both fiber and nutrients. So if you just want a list of high-fiber vegetables and fruit, you just have to look at the lists of those which are low in carbohydrates. If you are looking for numbers, one good guide for those limiting carbs is to look at the ratio of usable carb (or effective carb compared to fiber -- in other words, how much carbohydrate do I have to eat to get a gram of fiber? Here is a list, roughly in order on this carb/fiber scale. For foods not on this list, I recommend Nutritiondata.com. Note: I know there are discrepancies here. These are taken from Version 18 of the USDA Database. For an explanation of some of the incongruities, see Understanding Carb Counts and Why Carb Counts Vary. For more detailed carbohydrate information about fruits and vegetables, see my ever-expanding list of carbohydrate profiles, which includes carb and fiber counts, glycemic index and load, and other information. Flax! There is almost no usable carbohydrate in flax seeds. It is very high in both soluble and insoluble fiber (about one third of the fiber is soluble), and has a pile of nutrients to boot. Flax is just could be the ultimate low-carb fiber source. 1 T ground flax has 2.0 grams of carbohydrate, 1.9 of which is fiber. Chia Seeds have a fiber and carb profile similar to flax seeds. Many people in our Low Carb Forum use chia seeds and have a lot of recipes. Check the labels carefully, but a few high fiber cereals are also low or fairly low in carbohydrate. 1/2 cup sliced, 5 grams usable carb, 2 grams fiber. Mix raw oats with non-fat plain yogurt and a scoop of vanilla protein powder and raisins or berries. Add a bit unsalted chopped nuts if you wish. 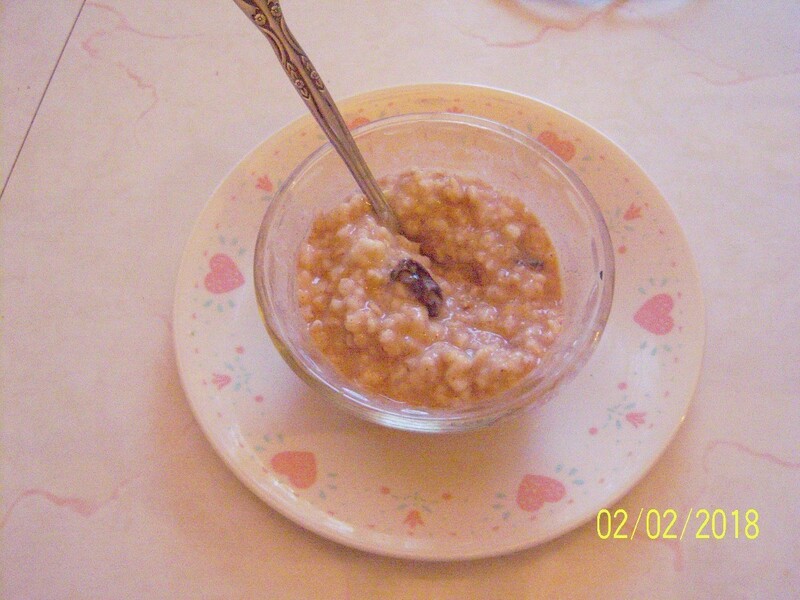 This guide contains a healthy oatmeal pudding recipe. Similar to rice pudding, this recipe uses leftover oatmeal and spices to make a hearty snack. Add in your favorite dried fruit and enjoy!